Pronunciation is very important. It really is. The way we pronounce something can alter the meaning of what you are trying to say, so it’s important to get it right. Many learners and non-natives say that they understand when they are spoken to slowly and when each word is broken down and pronounced. However, they don’t understand the native speakers, who pronounce the words in a way whereby they glide them together and the end of one word joins onto the beginning of the next one. There is no definition and it becomes difficult to understand. Right, we really need to learn pronunciation correctly in order for what we are saying to make sense and for us to understand others clearly as well. The rhythm of English words and sentences is a key element in pronunciation. Another important aspect of correct pronunciation is the melody of the language. This includes: stresses of certain sounds, intonation and clarity of speech. The good news is, if you follow these simple advices and take simple steps, you won’t have any problems on your way to learning the importance of pronunciation. If you follow these 6 simple guidelines, you will get perfect pronunciation. We will study the position of the tongue, the teeth and the lips with each sound and we will practice it many times. We will provide an opportunity to listen to the speech of native speakers, and you try to copy the pronunciation, intonation, rhythm, and stresses. It’s a task of imitation. Do not be afraid to speak slowly! Begin by using slow speech, during which you will pronounce sounds and breathe properly. This will allow you to concentrate on what you are saying whilst at the same time, feeling relaxed and calm. Then, in time you will speak faster and faster, completely controlling the correctness of your speech! Singing is another useful and enjoyable exercise. You do not need to think about whether you can sing or not you just need to use your voice, enjoy the music and sing along. Practice regularly, because even short, but regular lessons give an excellent result! Speak English at every opportunity you can. 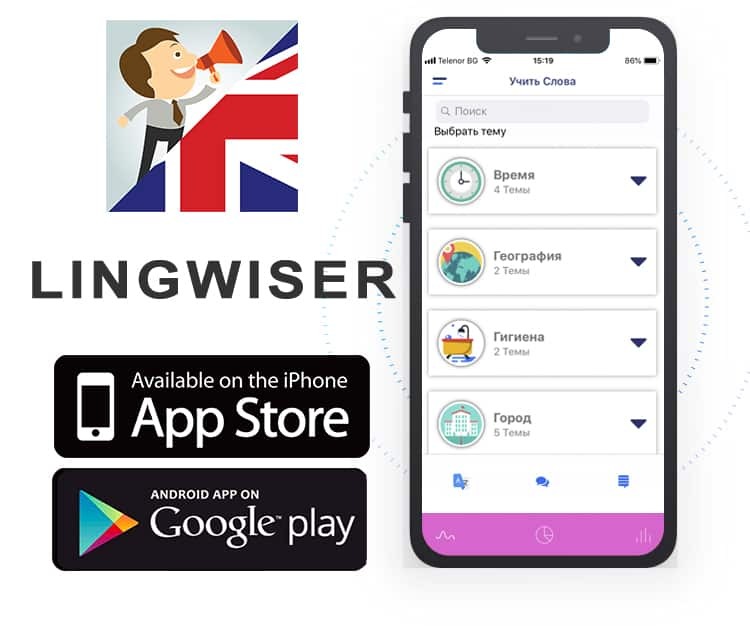 To learn the vocabulary, use our mobile App “Lingwiser”. Reading and recording yourself are essential. These will help you to hear and correct your mistakes. Achieving an excellent result is the main goal of this New Express Pronunciation Course. And this is exactly what you get once you have completed it. Good Luck everyone and remember to have fun along the way.